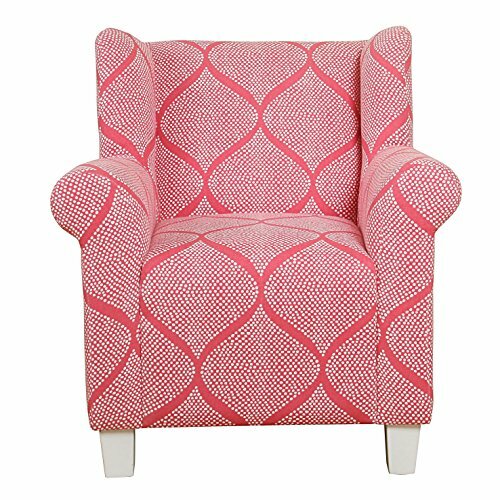 Our Kids’ Accent Chair can add whimsy and a touch of grown up style to a child’s bedroom or playroom. The strawberry and white dot pattern on 100% cotton fabric is enhanced by wood legs finished in white. Our kids’ armchair provides kid-sized seating to create a space to read and dream. Place our kids’ chair in your child’s room for an instant bedroom update. Easy to assemble and maintain.